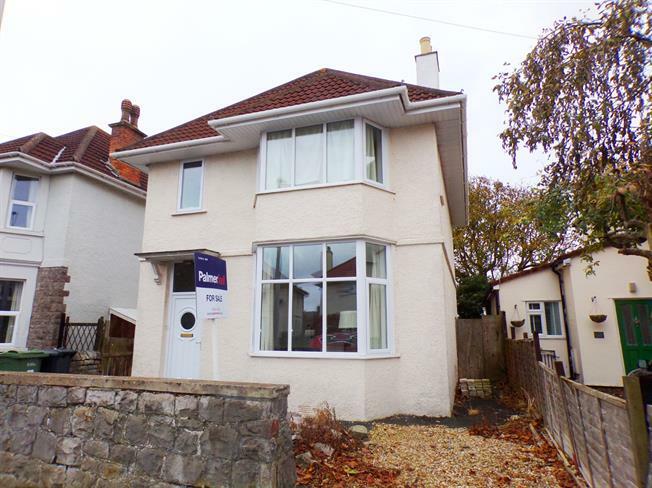 4 Bedroom Detached House For Sale in Weston-super-Mare for Asking Price £345,000. This four bedroom detached family home is located in the ever popular Southward within close reach of the beach and all amenities. The property offers plenty of scope for improvement and is blessed with space in abundance in addition to a large garden. The ground floor comprises of an entrance vestibule, bay fronted living room, dining room, third reception room and kitchen. Many period features have been retained throughout including skirting boards, picture rails and feature fireplaces. Upstairs, the property offers three large double bedrooms, a fourth single bedroom and family bathroom. Externally, there is a driveway to the front of the house and to the rear of the property there is a southerly facing enclosed rear garden.